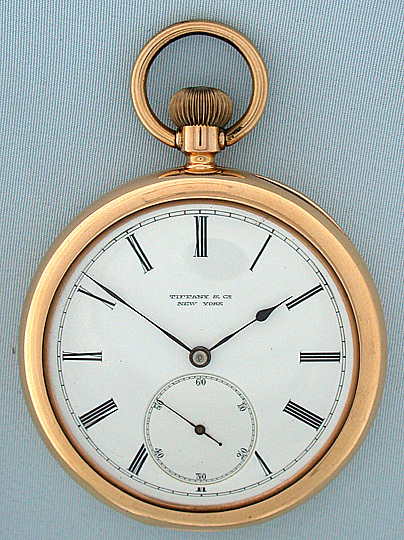 Fine Tiffany 18K pink gold antique pocket watch circa 1890. Elegant white enamel dial with blued steel hands. 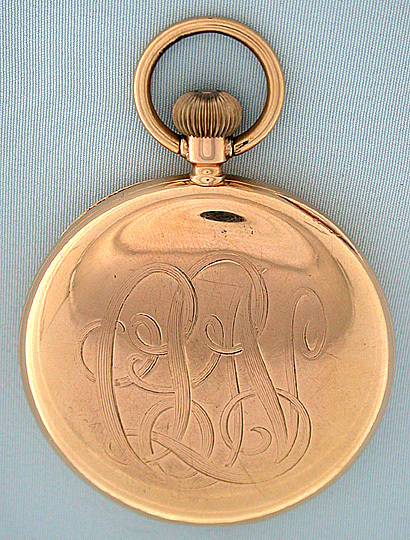 Unusual and substantial plain polish casewith double front bezels and elaborate monogram. 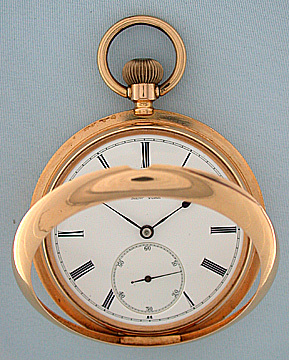 First quality nickel 20 jewel movement with gold balance screws. 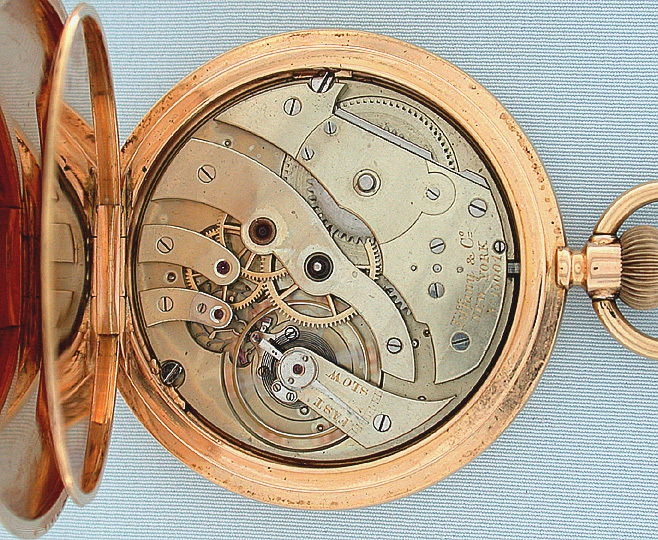 Matching case number and movement number (under the dial). Handsome.